Last year Google announced its latest search engine incarnation, this time it is named “Hummingbird Update” which has taken Internet searching a huge leap forward. Google is trying to make the search process more natural and conversational. It is more effective on long and complex queries. The only thing Google Hummingbird changed was how the actual search query was processed, but not the keyword accounting. Try the newly updated approach to keywords, which allows you to even double the list of profitable keywords in your SEO . This article describes 4 simple steps for performing keyword research with the present day techniques using SEO tools. Trying a creative idea based approach to your research surely helps you to achieve better ranking in Google SERPs. Special attention should be given to those keyword phrases that would be popular enough to drive visitors to a particular niche. It is not necessary that every time users search you with the set of business keywords you have defined. Search criteria keeps on changing as per the individual’s needs, therefore it becomes necessary for you to choose those words that are closely related to your business. Example- If someone searches for “Women’s dresses”, some close associations you might have are “Tees”, “Skirts”, “Jeans”, “Gowns” and so on. You will not be able to find any of these associations in Google Keyword Planner as it shows you only the most closely related search terms like “Women wedding”, “Designer Women”, “Long dresses”and so on. To get the ideas for keyword associations, you can check your competitors’ site and blogs. Certainly your own understanding of the domain in which you are operating would play a huge role in finalising the close associations. Some other reliable sources from where you can get keyword ideas include dictionaries, forum discussions, Wikipedia articles and topics related to your business. 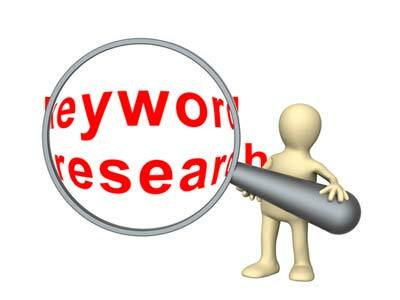 By trying out new research methods you will be able to produce better keyword ideas. Lots of reading, Huh! But isn’t that is what defines SEO? After getting the idea, it’s time to pick up the most relevant keywords for your business. Remove all those unnecessary words that do not relate with your product/services. If you utilize long-tail keywords, chances are very high that your website ranks better on Google SERPs for greater conversion. Most online businesses do not use such type of keywords when they are creating websites. So, an additional benefit to long-tail keywords is that you won’t have a lot of competition. This helps you achieve higher search engine ranking with comparatively less effort. Long tail keywords already include short tail words, so you get an extra benefit of optimizing both of them with effort spent only on long tail keywords. Similarly, if you want your visitors to get converted, choose keywords like “buy”, “discount”, “sale”, “coupon”, “deal”, “shipping” and so on. Using these type of keywords, it is more likely to convert visitors into customers. Some great examples for choosing the most appropriate keyword related to product descriptions in which a customer is already interested in are- “Top 10”, “Product reviews”, “Specific products”, “Brand names” and many more. After preparing a list of suitable keywords, you need to evaluate and analyze. When you analyze keywords for your website you can use some keyword analysis tools. There are various keyword research tools like Wordtracker, Nichebot that can be used to get detailed analysis of the searched as well as related term for your service/product. Apart from the demand and competitive analysis of a particular keyword, another important factor is KEI (Keyword Effectiveness Index). You can use it to get your desired keyword depending on the search term competitiveness and popularity of keyword. Another important factor when performing your keyword analysis is the commercial value of that keyword. Lets say, you are targeting the phrase “male underwear”. After analyzing the phrase in Google Keyword Planner tool, you get to know that this term has an estimated CPC (Cost Per Click) of $ 1.41 which is very low. This implies that advertisers are not willing to pay much for this phrase as it does not convert into a sale for them. On the other hand if you are targeting the phrase “men’s underwear” which has a CPC of $4.63, this would lead to more conversion and profits as advertisers are willing to pay more for each visitor. Page Backlinks -Link analysis is an important aspect of search engine optimization, where you need to benchmark where you are and what you are doing to outrank their page. There are various backlink analysis tools available, where you can check the backlinks of your competitors. The keyword used on that competitor’s page and the backlinks that page is having are important considerations. On-Page SEO – You need to assess the On-Page optimization (title, keyword, description, internal link anchor text) of your competitors’ targeted pages. Content Optimization - A content that is unique, informative and engages audience ultimately ranks number in Google SERPs. Therefore, you must analyze your competitors’ website for quality content. Domain Authority- At last, you should check your competing domain with factors like age, popularity on social media and their Alexa rank. It is now well known that Google does not intend to decrease keyword importance. Keywords are an efficient tool for them to control the search ranking results and they will emphasize it for years to come until a way to evaluate if original and quality content is available. Friend or Foe, keywords will remain in our online life for the foreseeable future. So, try these smart tips to plan and analyze your keyword research for long term success.